The new Project Breakdown showcases a more straightforward and user-friendly interface where you can easily manage your way from your project details down to your bank details. Project Breakdown is required for every project of Lump Sum type. 1. 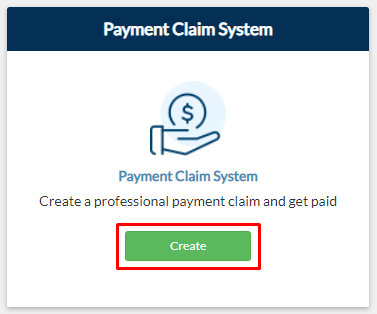 Click Create on the Payment Claim System tile. 2. You will then be directed to the Project Breakdown page. Click OK on the message. 1. In the Project Breakdown, provide your Customer details under the Project Details tab. Click the Edit button to update the fields. NOTE: Only click Save once you're done completing your Project Breakdown. a. The Claimant field is pre-populated with the account owner’s name by default. You can change or add claimants for your project by removing existing claimant/s or adding new claimants who have access to your portal. b. You can enable Scheduler for your project by sliding the option for Scheduler to Yes. The Scheduler field is also pre-populated with the account owner’s name by default. You can change or add schedulers for your project by removing existing scheduler/s or adding new schedulers who have access to your portal. a. If you have created a Lump Sum Contract prior to creating your Project Breakdown, then you will see the + Use Contract Breakdown button above the Item Description Fields. Click the button to use your contract breakdown. It will automatically populate your Item Description fields. b. If you haven’t created any Lump Sum Contract prior to creating your Project Breakdown, then you can just create your Price Breakdown using the Item Description fields. Add more items by clicking the Add button within the row. Input your Variations for your project through these fields. 1. You can enable deposit for your project under the Deposit tab. 2. Add in this field the percentage of your Original Contract Sum that you want to consider as your deposit. NOTE: If you have started making progress claims, then you wouldn’t be able to change your Deposit Status unless you withdraw all your existing claims. 1. You can enable retention for your project under the Retention tab. NOTE: If you have started making progress claims, then you wouldn’t be able to change your Retention Status unless you withdraw all your existing claims. Your Bank Details fields are pre-populated with the Bank Details that you input in your My Business Info form. 2. 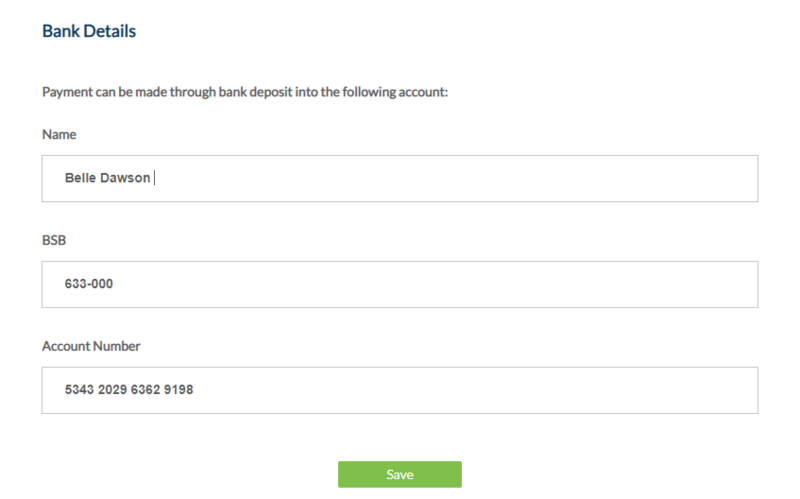 You can change your Bank details by directly editing the fields. 1. This table gets populated automatically as you complete your Project Breakdown. Click on the amounts to see their breakdown or computation. 2. Save your Project Breakdown by clicking the Save button. You will then be sent to the Payment Claim Dashboard where you can start creating your progress claims.